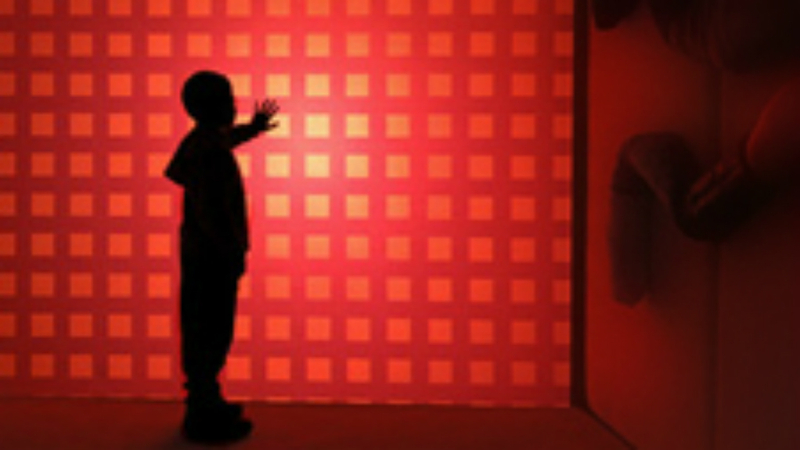 MEDIATE is an intelligent, immersive, multisensory, interactive space conceived for children with severe autism. 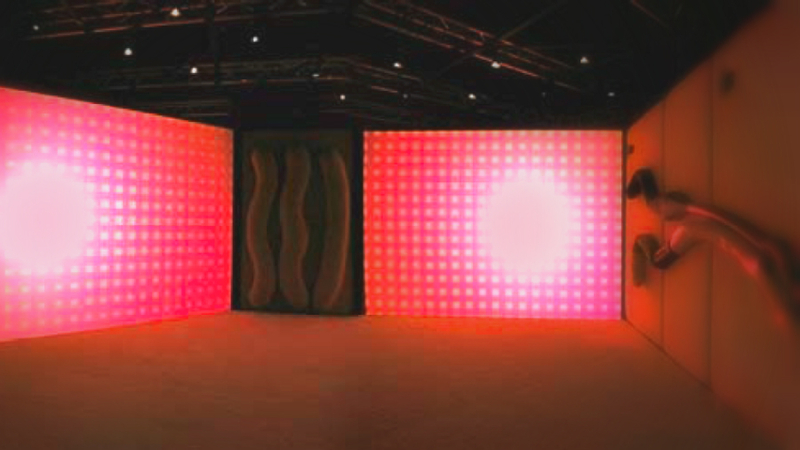 Through visual, sonorous and tactile interaction, MEDIATE wishes to give the child the opportunity to have fun, play, explore and be creative in a predictable, controllable and safe space, by the action of the child’s own body. 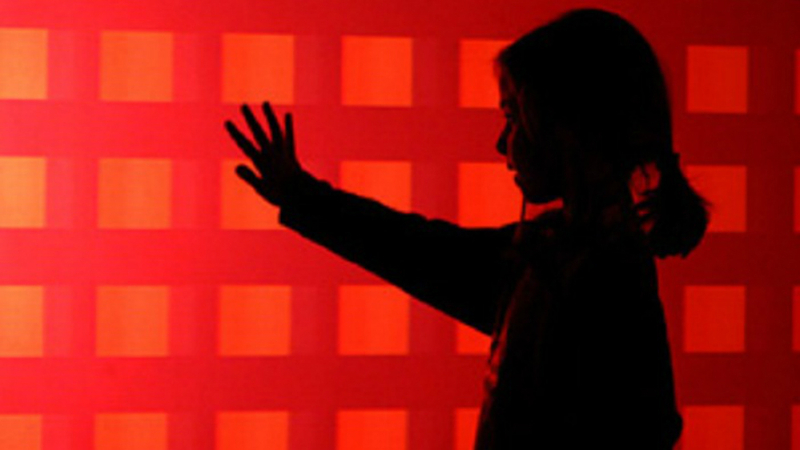 MEDIATE reacts to the unique user, and allows that user to create expressions of their own sensory experience: creations which can be replayed and communicated to others. 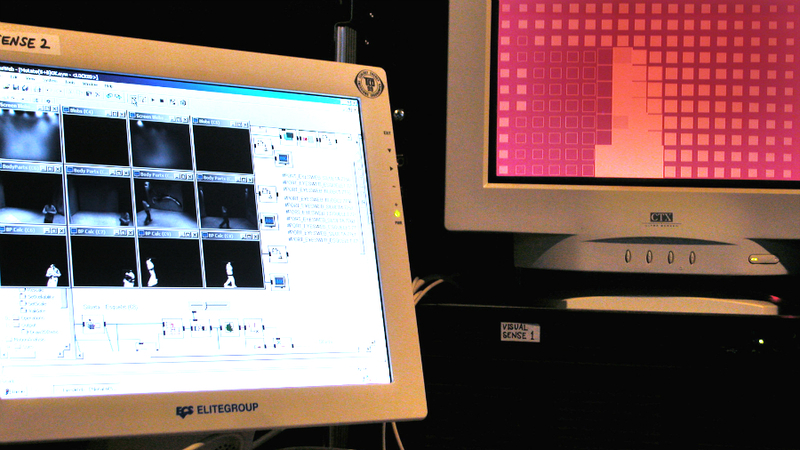 This environment performs in interaction with the individual autistic child through interfaces that are controlled and modified by a pattern matching software that recognises and identifies unique individual user characteristics. MEDIATE was funded by The European Commission under the FP5 / IST / Systems and Services for the Citizen / Persons with special needs (including the elderly and the disabled). The consortium was integrated by: University of Portsmouth, Responsive Environments Centre; Hogeschool voor de Kunsten Utrecht, Faculteit Kunst, Media and Technologie; Universitat Pompeu Fabra, Interactive Audiovisual Group; Kings College London, Social, Genetic and Developmental Psychiatry Research Centre; Show Connections Limited. Developed at: Universitat Pompeu Fabra. Experimentation on Interactive Communication group. Main researcher: Dr. Narcís Parés. Tasks: user detection design and coding. Photos: Pere Freixa, Narcís Parés, Univ. Porsmouth. This site started in Montréal '12, grows in Barcelona and was translated in Brussels '14. Texts by Anna Carreras and Mariona Roca.